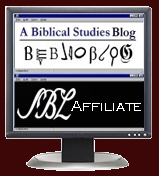 I have recommended and discussed the Bible Mapper program in the past. It is a fine mapping program, and it is free to use. What's more, it can be used to create copyright free maps. The program is provided without support, however. For this reason, I have created a Bible Mapper wiki for users to provide mutual support and advice. Perhaps of even greater help, it can serve as a repository for sharing maps and templates users have created. Check it out and download maps of "The Seven Churches of Revelation" that I have created and see how you can also participate on the wiki.